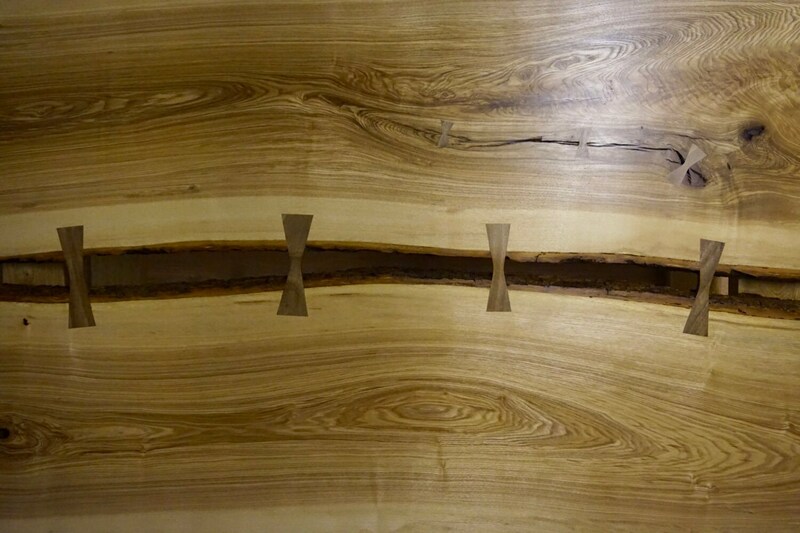 These locally sourced Olive Ash boards were deliberately selected for their unique colours and grain structure, with a view to make this table as aesthetically pleasing as possible. 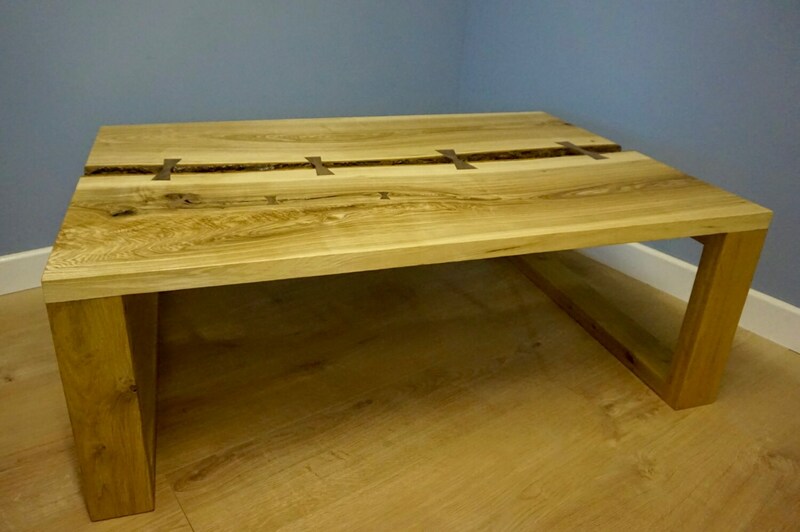 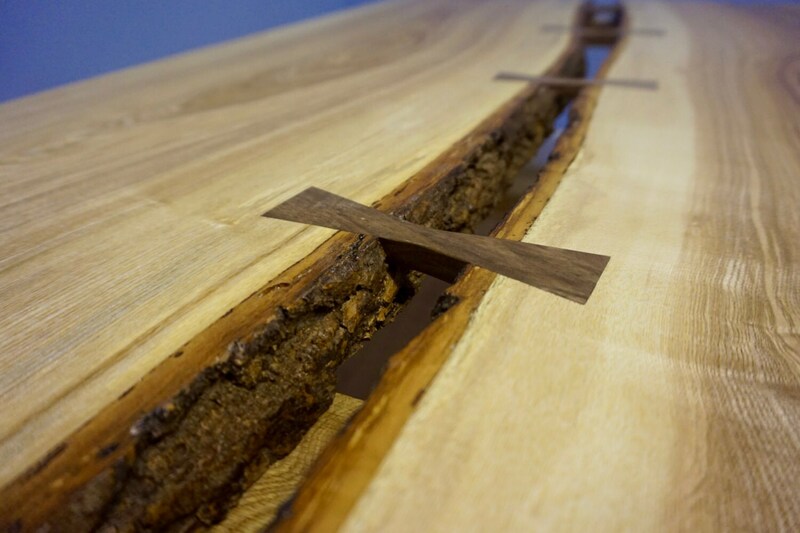 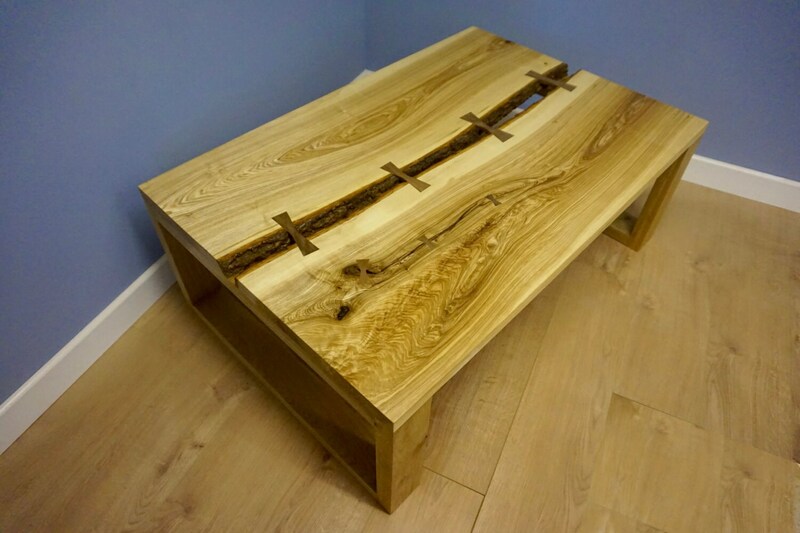 Handmade from a solid Ash top and Oak legs, the split slab top has Walnut bowtie keys installed to prevent movement as well as accentuate the natural faults in the wood and not hide them. 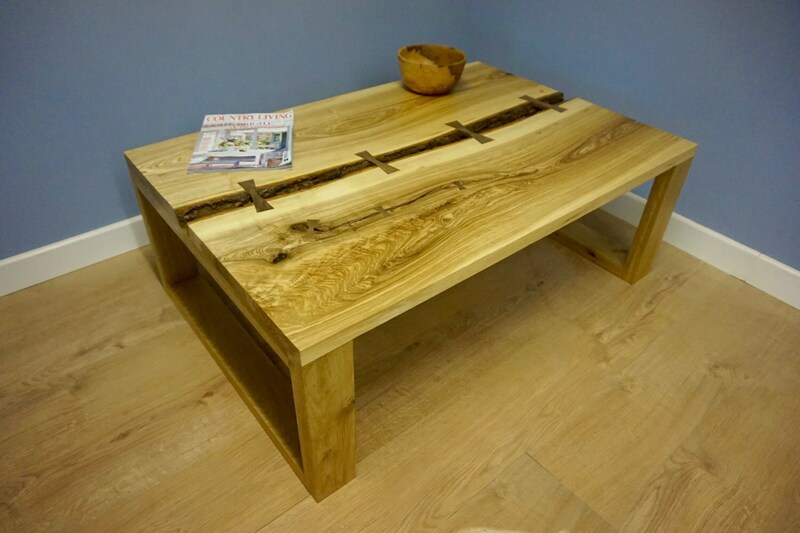 This coffee table measures 75cm (29.5") wide, 112cm (44") in length and 40cm (15.75") in height.